For many looking to get a start in the IT field, it can be difficult finding that first job without experience or a certification. Likewise, it is hard for many to get certified without the hands-on experience that first IT job provides. Microsoft has come to rescue by creating a series of entry-level, lifetime certification that can help the new professional show they have the skills needed to be an IT professional. There are no prerequisites to take MTA Networking Fundamentals Certification Training. Students who are beginning studies in technology need a strong foundation in the basics before moving on to more advanced technology courses and certification programs. The Microsoft Technology Associate (MTA) is a new and innovative certification track designed to provide a pathway for future success in technology courses and careers. The MTA program curriculum helps instructors teach and validate fundamental technology concepts and provides students with a foundation for their careers as well as the confidence they need to succeed in advanced studies. Through the use of MOAC MTA titles you can help ensure your students future success in and out of the classroom. This text covers the fundamentals of local area networking, defining networks with the OSI Model and understanding wired and wireless networks. In addition it includes understanding Internet Protocol, implementing TCP/IP and working with networking services. Your students will better understand wide area networks along with defining network infrastructures and network security. 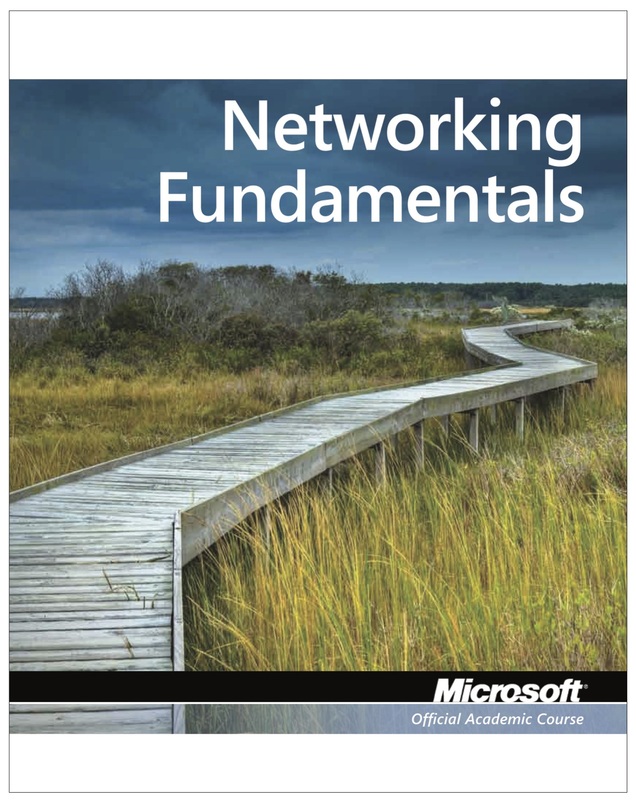 Microsoft® Official Academic Course - Networking Fundamentals, Exam 98-366 Copyright © 2017 by John Wiley & Sons, Inc. All rights reserved. Used by arrangement with John Wiley & Sons, Inc.
StraighterLine provides a percentage score and letter grade for each course. See Academic Questions section in FAQ for further details on percentage scores and grading scale. A passing percentage is 70% or higher. Create your own custom MTA Networking Fundamentals ! Select up to courses from the list below.